Gypsy On Broadway Is Making Waves! Broadway Gypsy The Musical Welcomes You To Experience Its Splendor! Gypsy Musical Show Has Millions Of Fans Following! Gypsy on Broadway has made history. It has achieved two feats. Firstly, it has been included in the list of America’s greatest musicals. Secondly, it is has been named as one of the greatest achievers of mid 20th century conventional music theatre art form. Is there any better reason than this to watch the show? This is not all. One of the prominent critics, Frank Rich, has stated this show to be American musical theatre’s answer to King Lear! Gypsy on Broadway has managed to stir the hearts of critics too. This can be seen from the statements given by various critics with regards to this show. Clive Barnes has stated: "Gypsy is one of the best of musicals..." Talking about the character of Rose, Barnes said: "One of the few truly complex characters in the American musical...bossy, demanding, horrific…” Frank Rich has compared the character of Rose to that of “a monster”. Walter Kerr states that thought Rose seems to have a monstrous side, yet she deserves to be liked and sympathized. This is, indeed, a wonder! “Gypsy” has managed to impress the critics and how! All this has happened due to the creative efforts of the team comprising of James Youmans, who has designed breathtaking sets; Dan Moses Schreier, who has given terrific sounds; Martin Pakledinaz, who has designed lively costumes; Howell Binkley, who has rendered the audience speechless through the perfect lighting arrangements; Stephen Sondheim, who has given powerful lyrics to the songs; and Jule Styne, who has produced the perfect melody for the lyrics. We cannot overlook the stage artists who have made the sounds, lights, costumes, and music come to life through their realistic portrayal of each character! 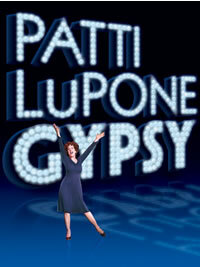 Patti Lupone plays the role of stage mother Mama Rose. Lupone is regarded as a legendary stage actor. Her roles of Eva Peron and Reno Sweeny in the plays “Evita” and “Anything Goes”, respectively, are still remembered with admiration. Lupone gave her first performance on Broadway in 1973. She has won two Tony Awards. Boyd Gaines plays the role of Herbie, the stage manager. His role of Colonel Pickering in the 2007 Broadway hit “Pygmalion” was appreciated to no end. He has three Tony Awards to his credit. On the other hand, Laura Benanti has two Tony awards to her credit. She plays the role of Louise in this musical. Laura debuted in 1998 with “The Sound of Music.” Her recent role was in “The Wedding Singer” in 2006, for which she won laurels. Gypsy on Broadway is a package of hard work and creativity put together by the show’s team; it’s a transformation of the character of striptease artist into someone who is liked and understood by millions of fans. If you want to join the league of Lee’s fans, come to St. James Theatre and be a part of Lee’s story. Book your tickets either through the box office or ticketing services. The latter is a wiser option, as you are sure of getting tickets, besides getting them delivered at home.